In the previous post we developed the FPGA implementation for running the 6502 Test Suite written by Klaus Dormann on the Zybo board. 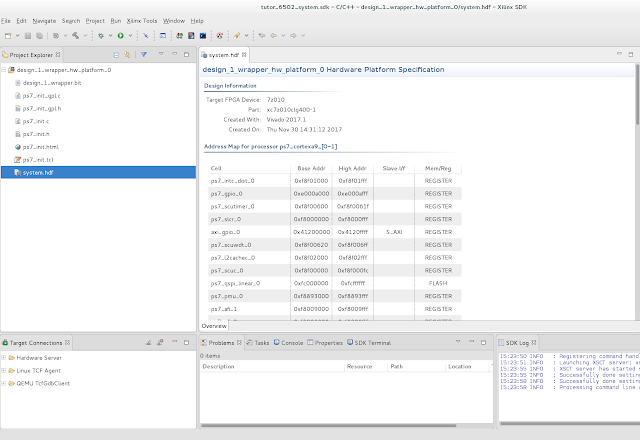 In this post we will be writing an ARM Cortex program for controlling our FPGA implementation, that is starting it up and monitoring the status of the Testsuite execution. 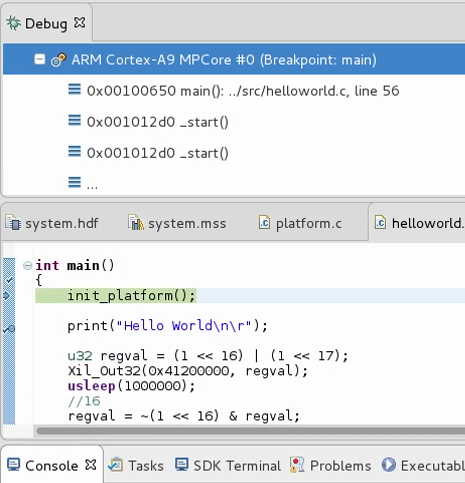 We will be developing our ARM Cortex program within the Xilinx SDK. 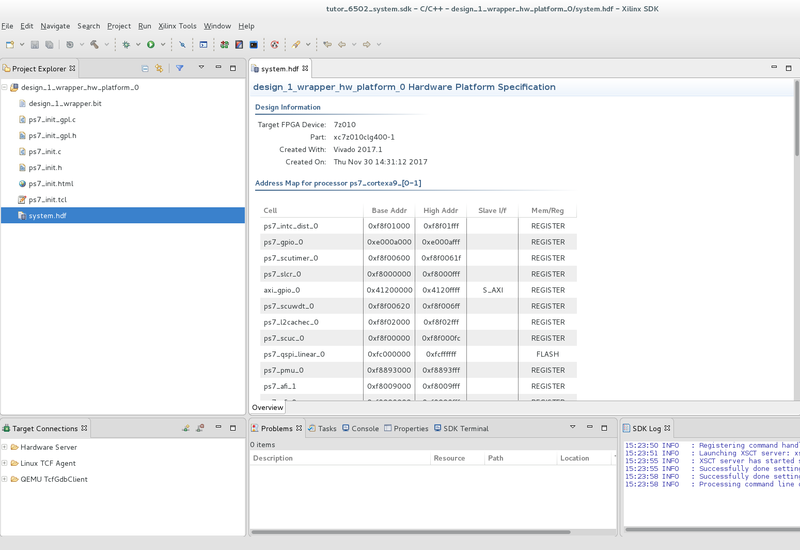 The Xilinx SDK gets installed as part of the Vivado installation process. The Xilinx SDK can be launched from Vivado, but before we do, there is a couple of steps we need to do beforehand. As you remember we ended off running the Synthesis on our FPGA implementation and verified that there was no errors. The next step we need to do is generate a bistream. This done by clicking on Generate Bitstream in the left Panel. Follow the prompts and wait for the process to complete. We can now start preparing for the launch of the Xilinx SDK. We are now ready to launch the Xilinx SDK. Under File select Launch SDK. 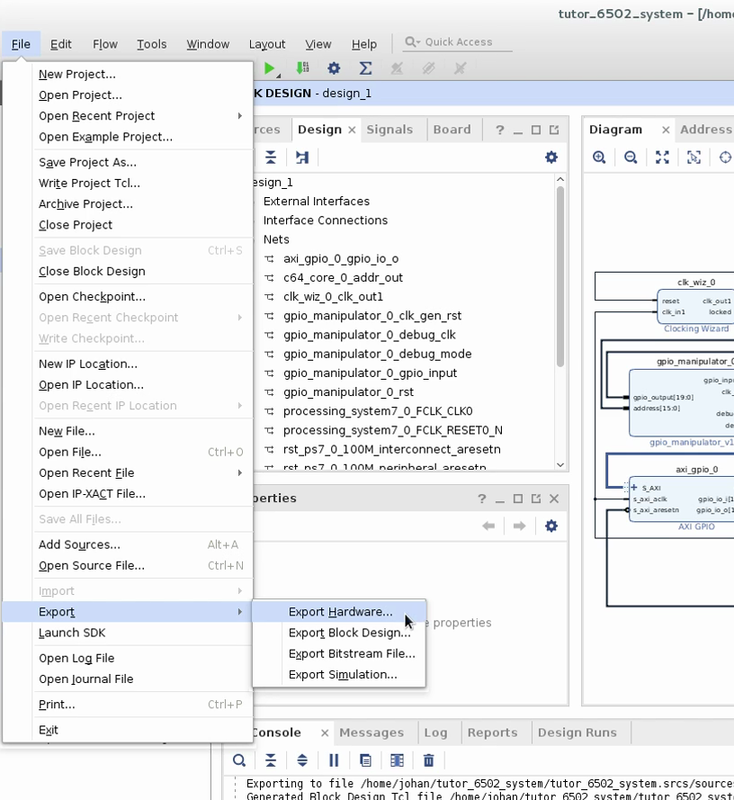 On the resulting dialogue click OK.
Xilinx SDK is based on Eclipse, so similar concepts apply, like you can have a couple of projects within the same Workspace. As you can see, our Workspace already has one project called design_1_wrapper_hw_platform_0. This project contains some code for initialising our hardware platform at startup. Our application will be contained in another project, same workspace. So select File/New/Application Project. Give a meaningful name for your project and click Next. On the next page we need to select a Default template for our new project. The Hello World Template, selected by default, will do. Click finish. 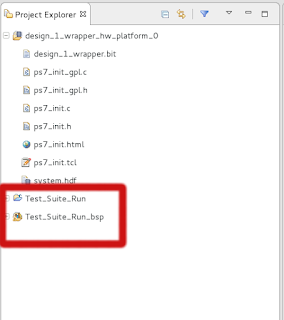 The first Node, Test_Suite_Run, is your new project. 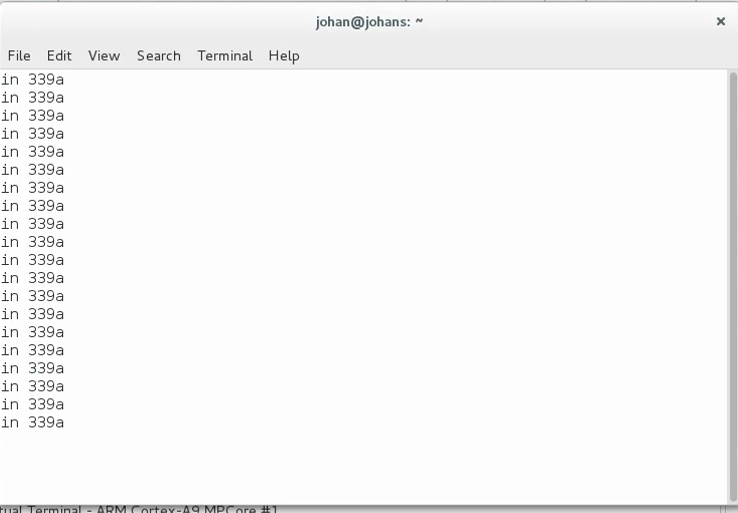 The folder ending with _bsp is a Board Support Package. 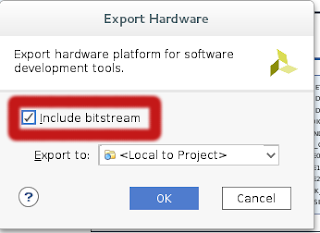 This folder contains the necessary include files and libraries that your program will need to get to the hardware specific stuff of the core you are using. 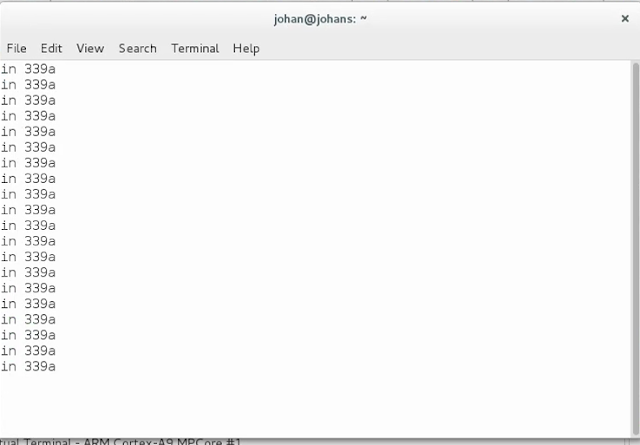 The helloworld program itself is within Test_Suite_Run within the src folder called helloworld.c. This is the file we will use to add our code for controlling our custom core. 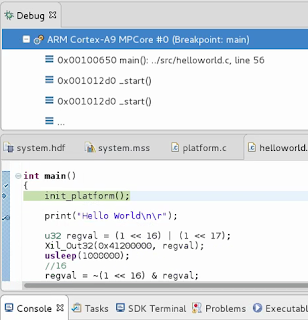 Let us now get all the information together that is needed to write our ARM Cortex program. The next piece of information we need is: How do we communicate with the GPIO from our ARM Cortex program? As many other peripherals in a ARM system the GPIO is a set of registers mapped within the memory space. So the firstly we need to know the memory address of our GPIO peripheral. As you see our gpio block is mapped to address 0x4120_0000 in memory space. Our GPIO instance only has a single channel, so only address offset 0x0 and 0x4 is applicable. In our design we didn't connect up the tristate register, so this leaves us only with register 0x0 that we need to use. 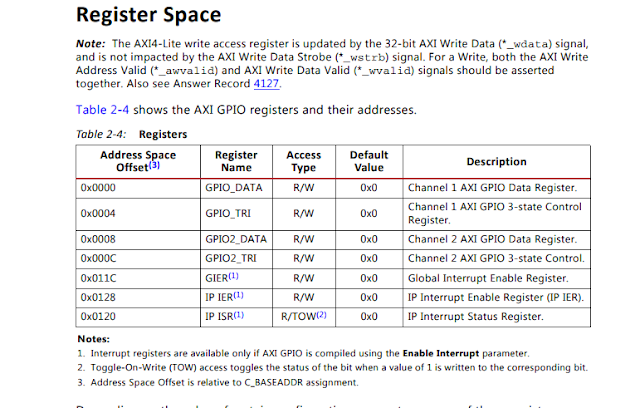 The access type column indicates that register 0x0 accepts reads and writes. So, using the pin assignments from the previous section, we only need to read/write to the applicable bit in register to have the desired effect. We finally have enough information to start writing out ARM Cortex program. Just a quick explanation of the pseudo code. In step 3 with the clk_gen_rst pin pulled down, the clock generator will start oscillating. It will however take a small time period for the clock generator to reach a stable state. Strictly speaking we should look at the lock of the clock generator to know when it is in a stable state. To keep things simple we haven't connected the lock pin. Instead, we will just wait a second which is more than enough time for our clock generator to reach a stable state. Once our clock generator is in an assumed stable state, we can pull the reset pin of our custom core low. This will initiate the execution of the test suite. We then wait two minutes, which should be more than enough time for our core to finish the Test Suite. After two minutes we assert the debug_mode pin. This will shift the clock source used by our core from the clock generator to debug_clk, which we will manually clock in our code. In step eight we enter a short loop, where we toggle the clock, read the address output of our core and outputting it to the UART. unistd.h: Header file containing usleep (microsleep). xil_io.h: Header file containing functions for reading and writing to GPIO. As you can see, we use Xil_Out32 to write data to GPIO and Xil_In32 to read data from GPIO. We are now ready to run our program on the ZYBO board. Ensure that the ZYBO board is plugged into your PC via the USB port and switch it on. In this instance our core reached the loop at address 339a. 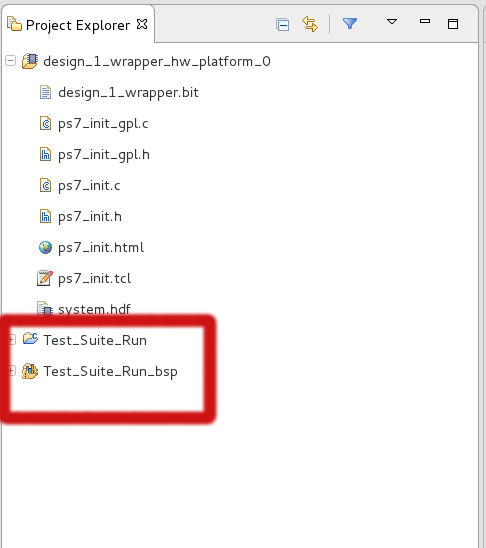 If you have a look at the source code for Klaus Dormann's Test Suite, you will see that the Test Suite was successful if this loop was reached. So, we know we have done the FPGA implementation correctly and the Arlet core is correct. In this post we wrote the ARM Cortex program for controlling our core and monitoring the execution of the Test Suite. We confirmed that our implementation was correct. In the next post we will try to boot our FPGA implementation with the C64 ROMS.